Creativity enhances the quality of our lives, encouraging us to look deeper, search wider, and explore multiple perspectives. 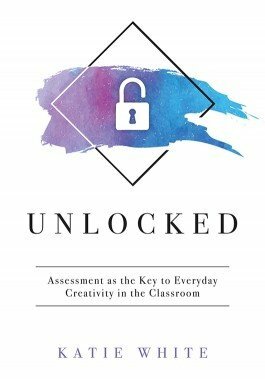 With Unlocked by Katie White, you’ll discover how to effectively connect creativity and assessment of creativity within any classroom setting. A variety of practical ideas and tools helps you design rich, authentic learning experiences that encourage inquiry and creative development rather than compliance and “right” answers. Develop an understanding of the creative process and its four critical stages. Explore the numerous benefits of encouraging and developing students’ creative thinking skills. Examine, in depth, the connection between effective assessment and students’ creative development. Acquire concrete strategies for developing assessment methods (such as formative and self-assessment for learning) that unlock students’ creative skills. Access free online reproducibles and resources for teaching creative skills and assessing creativity in the classroom.